Dissolve the appropriate quantity of agarose in 1x TAE / 1x TBE buffer by heating the suspension in a microwave or water bath. 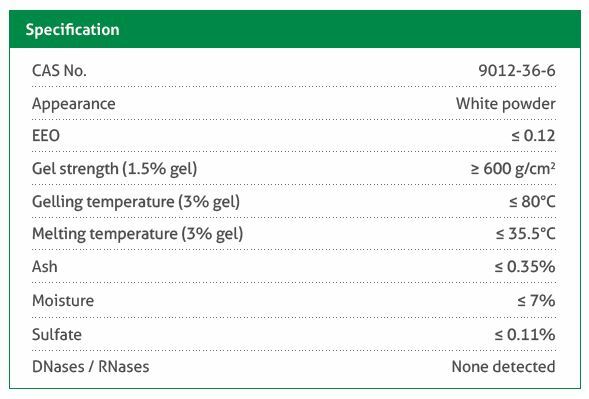 However, the best quality of the high percentage gels (4 – 5%) can be obtained by autoclaving the suspension for 10 min at 121°C. Cool the solution to approx. 60°C before pouring. For obtaining the best separation of DNA fragments, the following recommendations should be applied.